Watch your Wheels! You’ve reached the end of Island Highway 19 – Port Hardy is as far north as you can drive on Vancouver Island. Port Hardy was named after Vice-Admiral Sir Thomas Masterman Hardy, former captain of H.M.S. Victory. With a population of approximately 4,500, this turn-of-the-century townsite is now the largest community in the region and the bustling terminal for B.C. Ferries’ service to Prince Rupert and Haida Gwaii (Queen Charlotte Islands) via the Inside and Discovery Coast Passage sailing routes. As 97 percent of the population of Vancouver Island lives on the southern half of the island, outdoor recreationists in search of solitude come north. Much of Vancouver Island once looked as the north still does today. Thanks to recent government protection, some of the remaining wilderness has been preserved. Other places, such as the most northerly tip of the island, are sheltered from the preying eye of industry by the elements. Cape Scott Provincial Park is one of the wildest, windiest, most woebegone locales in the province for human habitation. Journeying to either Brooks Peninsula or Cape Scott is only for those whose mettle has been tested by repeated exposure to the bellows and blast-furnace of nature in the raw. Gentler conditions prevail in the sheltered waters of Queen Charlotte Strait and Johnstone Strait, where the Kwakwaka’wakw First Nations are the traditional gatekeepers. To experience a tranquillity that passes all description, paddle these waters where whales rub and salmon run in summer months. Port Hardy is the largest community of the North Island, with many facilities. Visitors can enjoy a wide variety of outdoor activities, as well as shopping and exploring the local arts and culture scene. The top half of 280-mile-long Vancouver Island is served by a maze of logging roads and Highway 19, which links Campbell River with Port McNeill and Port Hardy. Location: Highway 19, the main highway serving Vancouver Island, links Port Hardy with Victoria and all other major centres on the island. Other communities in the North Island, including Coal Harbour, Holberg and Port Alice, are connected to Port Hardy by well-maintained highways. Port Hardy is the closest commercial Airport providing flights to Vancouver, Victoria, Nanaimo and many coastal communities. BC Ferries links Port Hardy with several remote communities along the breathtaking Inside Passage and Discovery Coast routes to Prince Rupert and Bella Coola. Nearby, BC Ferries links Port McNeill to Alert Bay on Cormorant Island and Sointula on Malcolm Island. You can even travel up the scenic Sunshine Coast to Powell River and travel by ferry to Comox, just a 3.5 hour drive from Port Hardy. 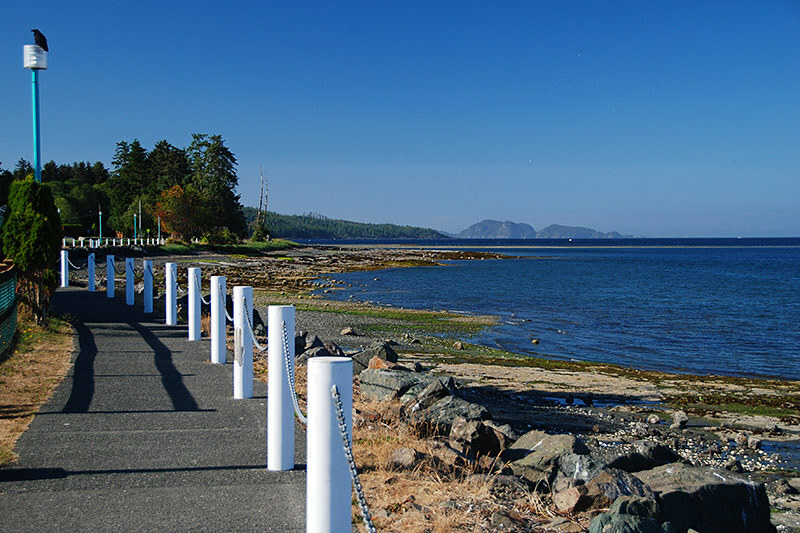 Walks: Stroll or jog along the seawall to the bustling harbour, where fishing boats, sail boats and float planes always seem to be coming or going. Follow the seawall to Carrot Park and view the war memorial, next come to Tsulquate Park. The next park along this scenic seawall is the Kinsmen Park and pavilion, a great place for a picnic or barbecue. Follow Market Street to Fishermens Wharf, alive with seiners, gillnetters, trollers, sailboats, and sport fishing boats in summer and fall. Seafood: A sign near the waterfront advertises fresh shrimp for sale at the town dock. You can cook them at a pleasant picnic site on Hardy Bay, next to the ferry. 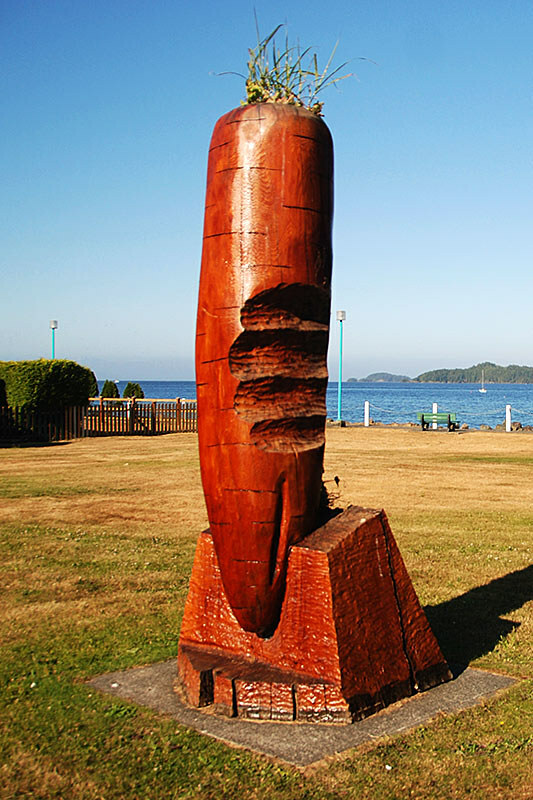 Heritage: One of the most exciting aspects of a visit to Port Hardy is the prevalence of rich native culture and heritage. Port Hardy is known for its First Nations shops and art galleries, particularly on Market Street, which offer beautiful, hand-crafted treasures. Several of these artists regularly invite visitors into their workshops as they create paintings, jewellery, masks and other pieces. You can also view the work of local artists through the town’s murals. Take yourself on a tour and see murals at the Airport Inn, the Library, Hardy Buoys Smoked Fish, Malone’s Oceanside Bistro, North Island Diving & Water Sports, the Thunderbird Mall, and the Seagate Motel. Port Hardy Museum & Archives on Market Street exhibits a small collection of First Nation artifacts, local history items, natural history materials, and local archives. Open Tuesday through Saturday throughout the year. Admission by donation. Wildlife: Keep your camera handy, as the rugged northern coast of Vancouver Island is a remarkable area teeming with wildlife. Be your own guide, or benefit from the local knowledge of land-based and water-based tour operators that will guide you to the natural habitat of black bears, cougars, black tailed deer, Roosevelt elk, timber wolves, and a large variety of birds and eagles. Organized grizzly bear viewing trips are available to nearby Knight Inlet, and other locations on the BC mainland. 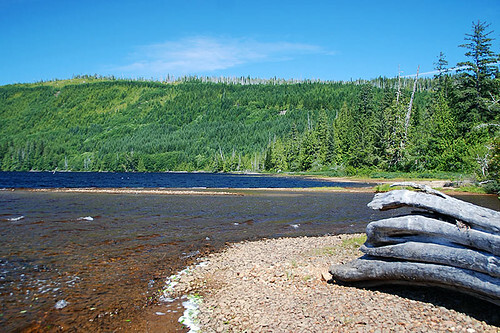 Hardy Bay and the Quatse River Estuary are visited by a wide range of wildlife. Bald Eagles and Great Blue Heron are common throughout the year. Scan the exposed mud flats during low tides for many species of shorebirds. During fall and winter waterfowl are found, including Canada Geese, American Wigeon, Green-winged Teal, Bufflehead and mergansers. Cormorants and many seabird species are also seen. During the fall, salmon travel through the bay and enter the Quatse River, attracting wildlife that feeds on the dead and dying fish. Quatse Salmon Stewardship Centre and Hatchery is one of 4 facilities operated by the Northern Vancouver Island Salmonid Enhancement Association, which works with local resources to aid in the recovery of salmon stocks in North Island streams. The centre is open to the public May through September, Wednesday to Sunday, 10 am to 5 pm. Visitors can enjoy the displays in the interpretive gallery, as well as take a guided tour of the salmon production facility. Whale Watching is a must on a trip to Port hardy, where viewing possibilities include killer whales, Grey Whales, Humpback whales, and Minke whales. Other marine life viewed on whale watching trips might include sea lions and harbour seals. There are several companies offering whale watching trips from late June through early October. 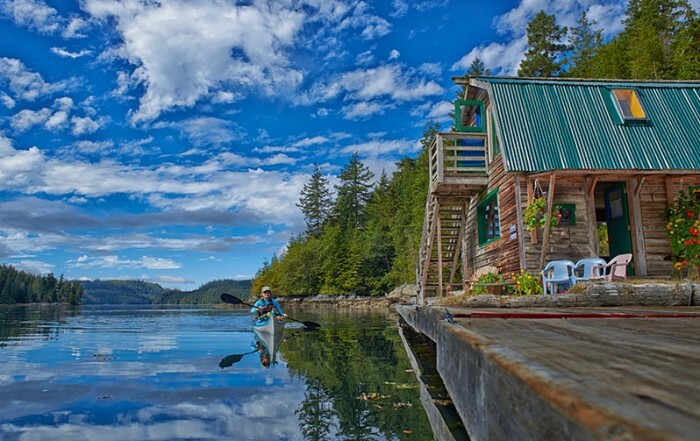 Outdoor Recreation: An active recreational centre, Port Hardy is a year-round gateway for wilderness explorers seeking adventure in the vast wonders of North Vancouver Island. Diving: The waters off north Vancouver Island are amongst the finest in the world for diving, thanks to the profusion of invertebrate life, curious wolfeels, walls studded with colonies of pink soft coral, colourful anemones, and a variety of sponges and starfish. 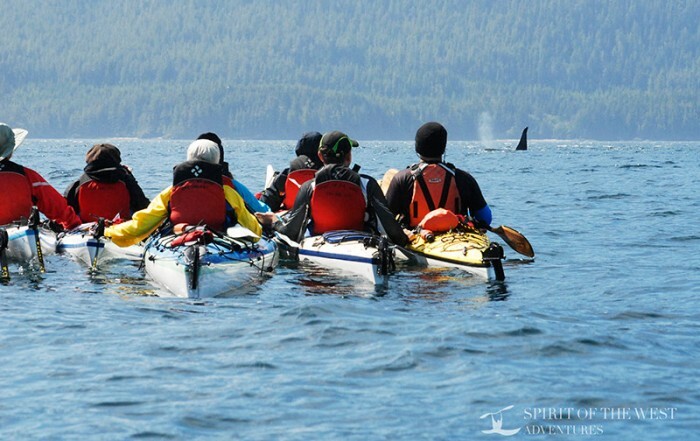 Sighting killer whales from the surface in Johnstone Strait and Queen Charlotte Strait is also a common occurrence. Kayaking: Good sea kayaking is found in the protected waters of the east coast of the island. 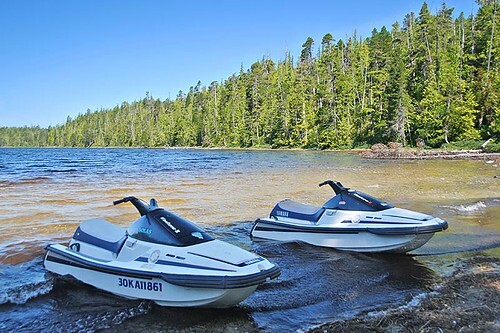 There are several staging areas, including Beaver Harbour south of Port Hardy, allowing you to kayak or canoe to spectacular locations – canoe and kayaks can be rented by the day or week. Many parts of the Discovery Coast to the north of Port Hardy are relatively unknown to kayakers. This region will appeal to resourceful paddlers who seek a sense of pioneering, which includes laying some groundwork, discovering new fishing spots, wildlife watching, dealing with unknown tidal currents, and finding new campsites. Guided and self-guided day tours and two to seven day trips are available, with or without mother ships. Hiking: A network of publicly accessible logging roads opens up wilderness areas on the west coast of Vancouver Island, providing access to Winter Harbour, Cape Scott and Raft Cove Provincial Parks. 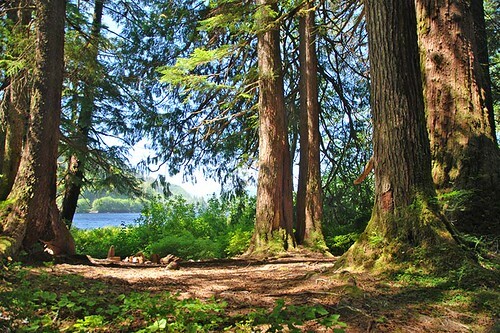 Hiking routes vary from short trails leading to spectacular beaches at San Jose Bay and Raft Cove, to an 8-hour trek to the tip of Cape Scott, to the North Coast Trail in Cape Scott Provincial Park, a 61-km hike when starting at the Cape Scott Trailhead and ending in Sushartie Bay on the north coast (see Cape Scott Park Trails). The Tex Lyon Trail is a rugged 7-km, 5-hour trek along the rocky coastline from the north end of Storeys Beach to Dillon Point. Inside Passage: Explore the stunning beauty and enjoy the scenic grandeur of the Inside Passage on one of the world’s most awe-inspiring voyage; the 15-hour BC Ferries trip from Port Hardy to Prince Rupert. Reserve accommodation in Port Hardy ahead of time in summer, as motels are usually packed the night before the Prince Rupert ferry departs and the night after it arrives. Discovery Coast: In the summer, a seasonal BC Ferry service enables visitors to reach Bella Coola via the Discovery Coast Passage. 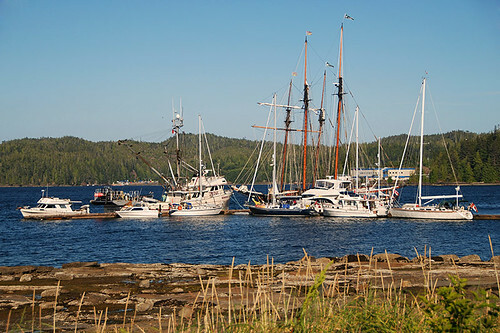 The voyage takes 33 hours, and stopovers include Klemtu, Ocean Falls, Bella Bella, and Denny Island (Shearwater). Cabins are not available on the vessel, however, there are showers and reclining seats. Reservations are highly recommended. 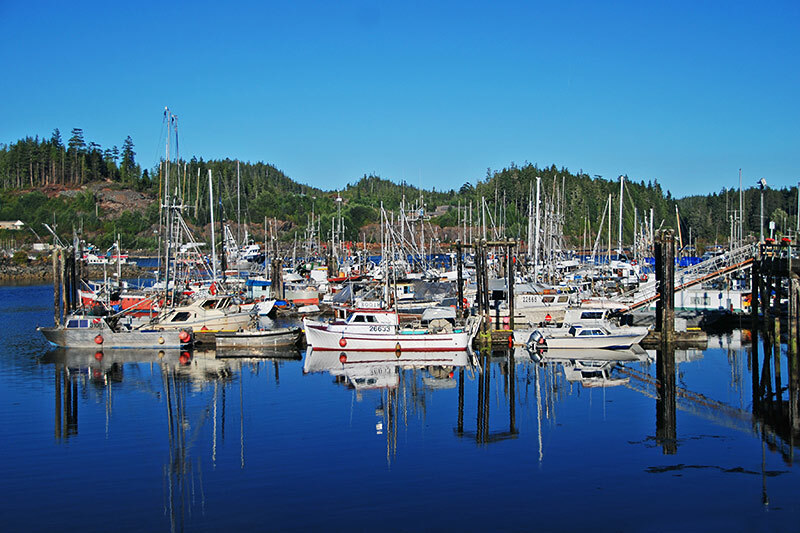 Boating & Sailing: Known for its beautiful, rugged shores and close proximity to the famed Inside Passage, Port Hardy is the perfect place to embark on your boating or sailing adventure. Off the eastern shore of Port Hardy, the Queen Charlotte Strait is known for its sheltered tranquility and serene beauty; the perfect spot for exploring. 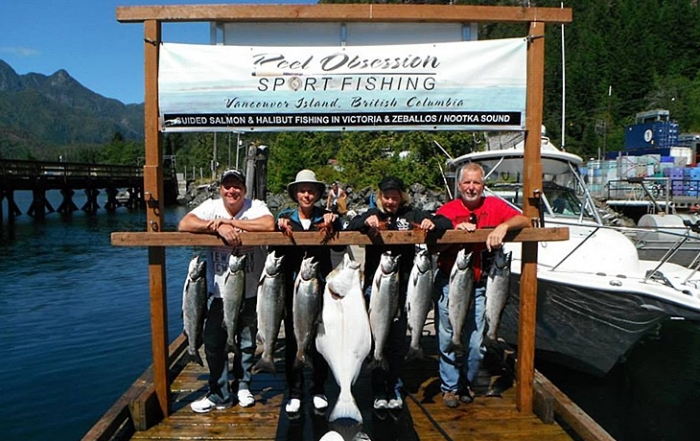 Fishing: Port Hardy offers world-class fishing for salmon, halibut, red snapper, rock cod, sea bass, crab, trout, steelhead, and cutthroat trout. Port Hardy is home to full-service marinas offering dockage, fuel, and a boatyard. Charters, boat rentals and guides are available for both saltwater and freshwater fishing excursions. Skiing: The closest ski hill is Mt. Cain Ski Resort, located south of Port Hardy (1 hour and 45 minutes by car). At Mount Cain you’ll find untouched powder which has built up over the week, virtually no line-ups for lifts, and the friendly, welcoming atmosphere of a family-oriented mountain. Storage: There is long-term parking in Port Hardy for RV’s, vehicles and boat trailers, and moorage facilities for boats. Caving: Due to the unique geography of Vancouver Island, and its location within a series of Karst systems, the region is attractive to cave explorers. Spelunkers can discover both surface and underground geological formations such as stalactites and stalagmites, sink holes, disappearing and reappearing rivers, and, of course, underground caves. Golf: The public 9-hole Par 35 Seven Hills Golf & Country Club in Port Hardy is the northernmost golf course on Vancouver Island. Seven Hills offers the golfer meadering fairways and undulating greens, with scenic views of the North Island Mountains. Open year round. Vancouver Island Golf Vacations. Marble River Provincial Park protects a portion of the Marble River, which flows through a shallow canyon bordered by forest-covered benchlands. 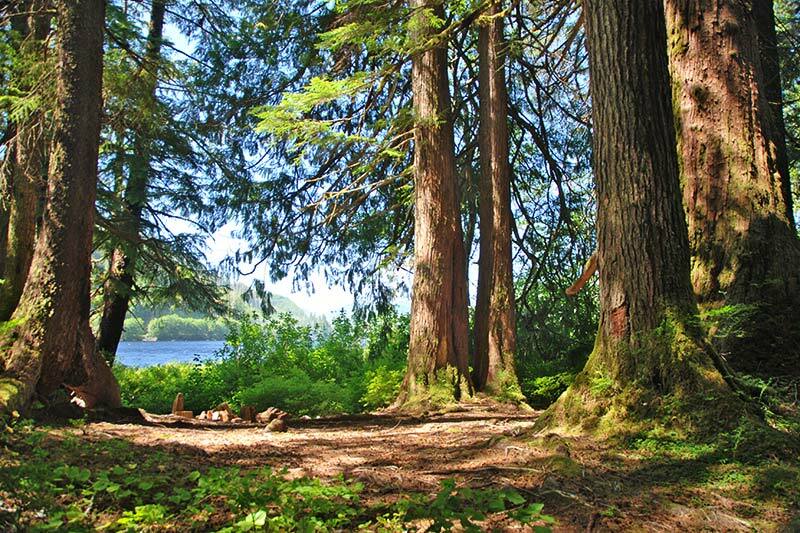 The park is nestled in a beautiful forest, and incorporates the river’s estuary at Varney Bay on Rupert Inlet, a steelhead fishery, extensive waterfowl habitat, and eagle nesting habitat near Quatsino Narrows. The park can be reached from Port Hardy on the Port Alice road off Island Highway 19, or by taking a boat from Coal Harbour, 10 km south of Port Hardy. God’s Pocket Marine Provincial Park provides some of the best underwater scuba diving on the Pacific Coast. Most diving takes place in nearby Browning Pass, an area rated by the late underwater explorer Jacques Cousteau as one of the best cold water diving destinations in the world. Gods Pocket is made up of a group of islands, the largest of which are Bull and Hurst Islands, about 20kms due north of Port Hardy. 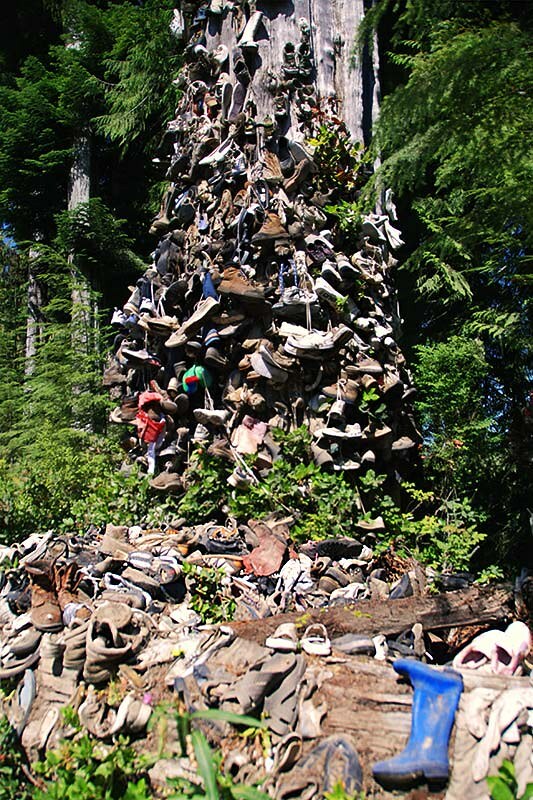 ]Cape Scott Provincial Park lies to the northwest of Port Hardy in a stunning region of coastal wilderness and scenic oceanfront. Visitors to the 21,849 hectare park will find little development except trails. The park is characterized by 64 km of scenic and rugged ocean frontage from Nissen Bay in the north to San Josef Bay in the south. Rocky promontories and jagged headlands are scattered along the remote and wide sandy beaches. Nels Bight is the most impressive of the 9 beaches in the park, at 2,400 metres long and over 200 metres wide! Visitors to Cape Scott should be well prepared for adverse weather conditions – all year round. Annual rainfall is between 375 and 500 centimetres, and prolonged sunny periods are a rarity, even in summer. High winds, rain and generally stormy conditions can be expected at any time of the year. 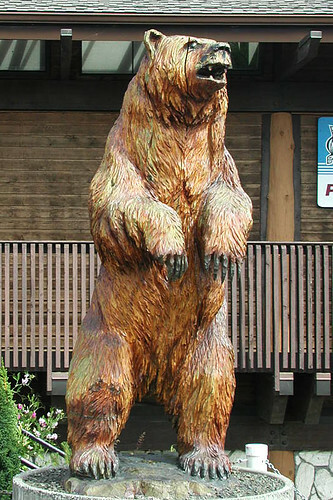 There is no best time to visit the park, although mid summer is generally preferred. 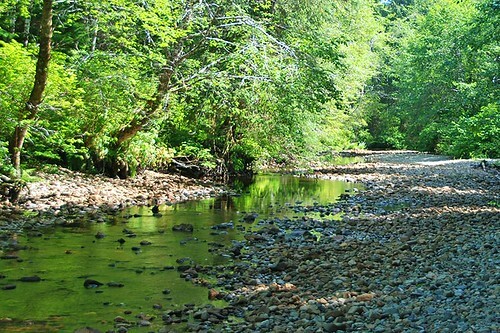 The park offers Camping on the beach, wilderness camping, hiking, and wildlife viewing. Hiking trails range from two to sixty kilometres, and from a pleasant stroll to a challenging and demanding test of skill and stamina. The incessant rain results in muddy and difficult conditions on primitive trails that provide some of the most tortuous terrain of any trail in British Columbia. Raft Cove Provincial Park is located about 5 miles south of Cape Scott Provincial Park, attracting wilderness adventurers on day hikes, or backpackers carrying in overnight gear to set up camp on the 1.3-km sandy beach, This is a great place to really get away from it all, but it is a challenging hike in on a very rough trail. Visitors should dress warmly and bring good rain gear at most times of the year, as Raft Cove is extremely exposed to the Pacific weather systems that have pounded this coastline for thousands of years. Come prepared to wear waterproof clothing on top of your waterproof clothing in an attempt to stay dry. Remember that away from the road it’s a wilderness, with limited development in the park, but it sure is beautiful country. Camping on the beach in wilderness campsites or amongst the peninsula’s trees is very popular, as is surfing, swimming, fishing, hiking and beach hiking. During low tides, long shore walks over rock and beach can be made north or south of Raft Cove, at the edge of the pounding Pacific surf. Annual Events: The residents of Port Hardy honour the local First Nations on Aboriginal Day in June. The Canada Day celebration on July 1 at Storey’s Beach starts the summer off with a bang. Held on the beach, and featuring a parade, outdoor activities and displays, it gives locals and visitors the opportunity to celebrate Canada’s birthday in a unique way. 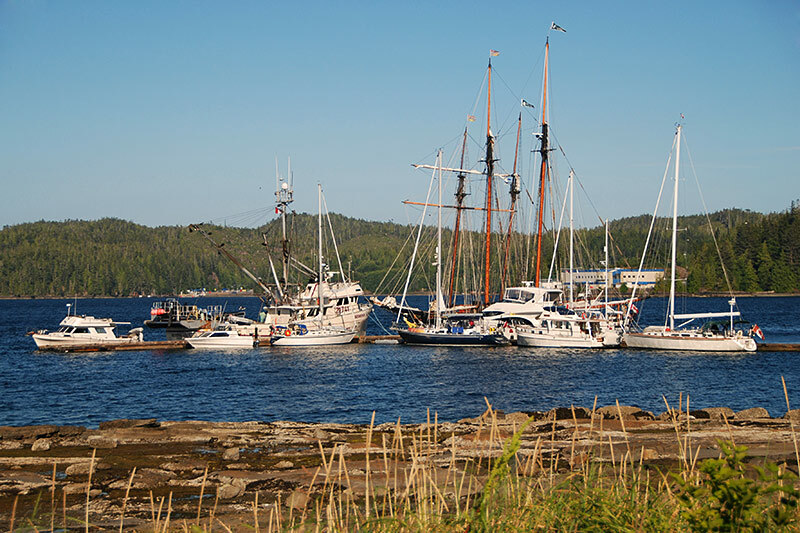 Filomi Days, held on the third weekend in July, celebrates the area’s three biggest industries: fishing, logging, and mining. 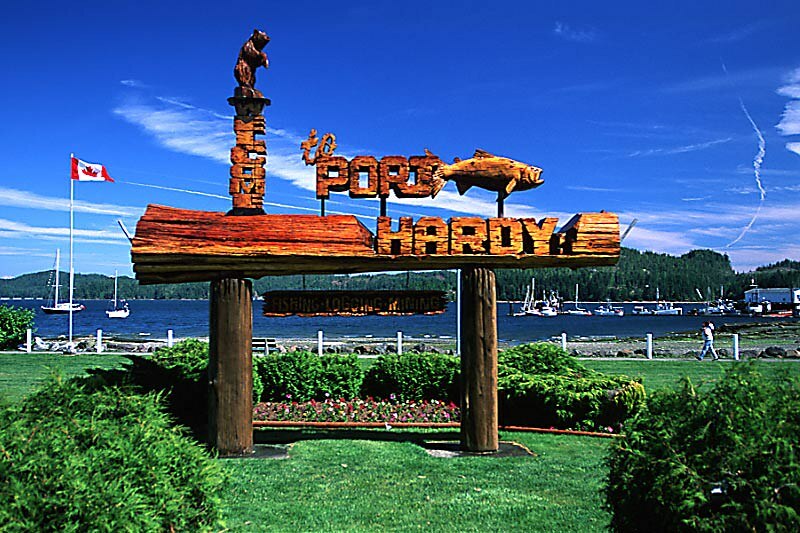 Port Hardy is a lively community, with the seasonal and annual special events and activities ensuring visitors return year after year. Fort Rupert: Adjacent to Port Hardy is Fort Rupert, an historic Kwakiutl Village. Though difficult to find, petroglyphs do exist on the sandstone formations in the upper tidal area, in front of the old Hudson’s Bay Fort site. Fort Rupert is also home to several totem poles, and a traditional native big house. 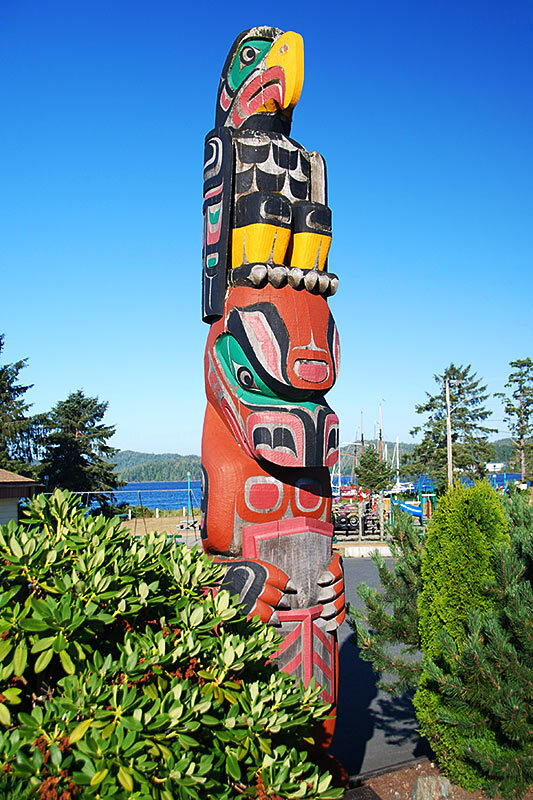 For more information on Fort Rupert, as well as the rich native history of the Kwakwaka’wakw First Nations, the Port Hardy Museum offers visitors a step back in time and look at the diverse culture, history and artifacts of this aboriginal population. The famous Edward S. Curtis film In the Land of the War Canoes was filmed at Fort Rupert. South of Port Hardy is Port McNeill. 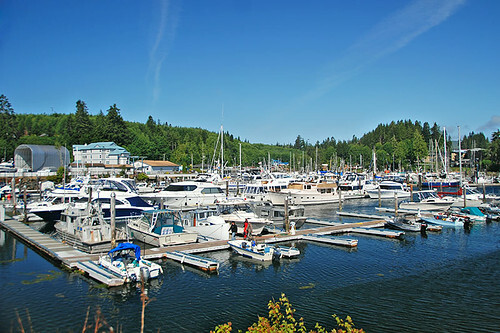 Logging and marine supply stores are the predominant features here, but so too is the Port McNeill waterfront, from where ferries depart to nearby Cormorant and Malcolm Islands. The towns of Alert Bay and Sointula, located respectively on each island, are both worthy destinations for day-tripping foot passengers. West of Port Hardy, beautiful forested valleys and brilliant blue lakes lead to the hamlet of Holberg, once the site of the world’s largest floating logging camp. Forty minutes farther along the Holberg Road is the tiny waterfront community of Winter Harbour, an outpost village on the edge of the Pacific Ocean, and the true “end of the road”. North of Port Hardy, at the confluence of the Burke Channel and Fitz Hugh Sound, is the village of Namu, meaning ‘place of high winds’, or whirlwind. You can still see structures from the abandoned cannery built on wharves over the water, connected by a boardwalk. A short trail leads to nearby Namu Lake, which has good fishing and long expanses of sandy beach. The Islands tourism region extends north from Port Hardy to include a portion of the BC mainland coast from Bute Inlet to Calvert Island’s Hakai Pass, Rivers Inlet, and all the islands in Johnstone Strait and Queen Charlotte Strait. British Columbia’s largest marine park, Hakai Luxvbalis Conservancy Area, is one of the better-known paddling areas, encompassing a large archipelago of outstanding natural beauty and recreational value. 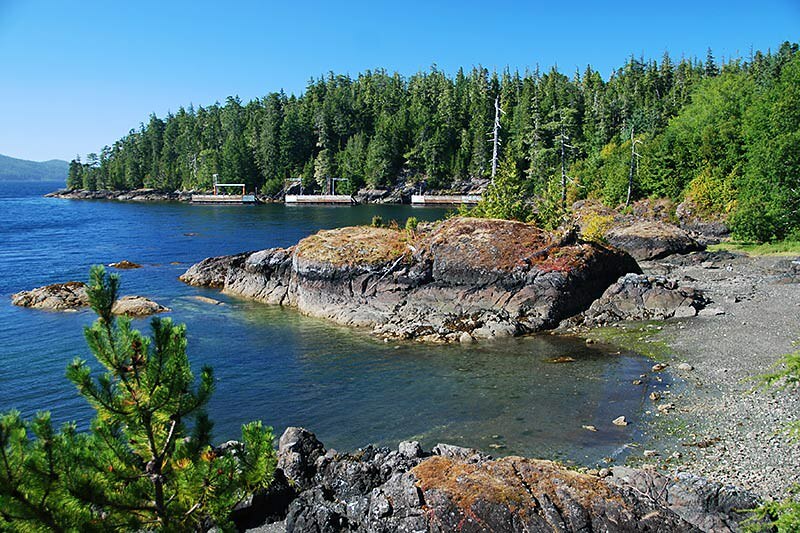 From fully exposed shorelines to rolling, forested hills and 3,000-foot peaks, Hakai offers some of the most varied and scenic coastline in the province. Special features such as lagoons and reversing tidal rapids, beaches, all-weather anchorages, tombolos, and an intricate network of coves, inlets, and channels make it an ideal area for boaters, anglers, scuba divers, naturalists, and experienced sea kayakers. Circle Tours: See the best of BC when you embark upon one of the driving circle tours that take in Vancouver Island. The Discovery Coast Circle Tour heads north out of Port Hardy on a BC Ferry, returning to the BC mainland at Bella Coola. Travel through the Chilcotin and the heart of the Cariboo to Vancouver. The Inside Passage Circle Tour heads farther north to Prince Rupert and the hauntingly beautiful Queen Charlotte Islands. Return to Prince Rupert and venture east on the Yellowhead Highway to Prince George, then south to Vancouver. 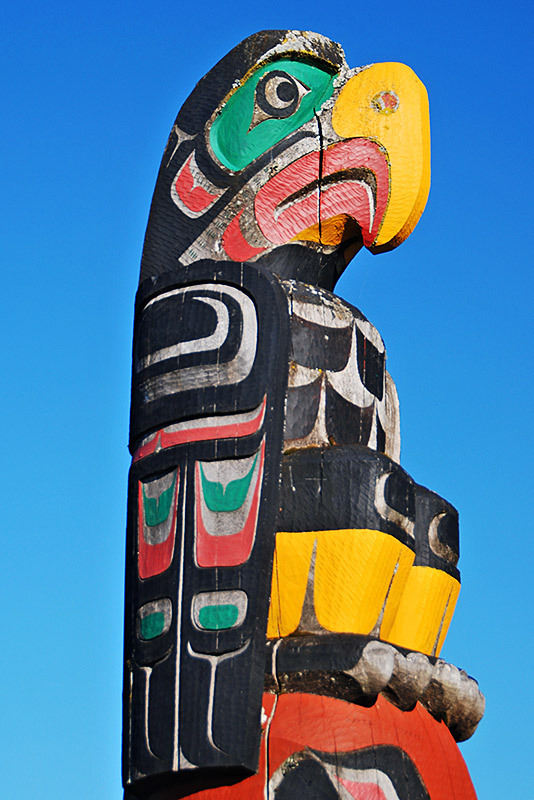 The Native Heritage Circle Tour follows the same route as The Inside Passage tour, taking in haunting totem poles, mystifying petroglyph stone carvings, heritage Indian villages, and Native arts and crafts skillfully carved by First Nations people. The Northern British Columbia Circle Tour loops north from Prince George, through the Rocky Mountain foothills via the Alaska Highway to Watson Lake in the Yukon, before heading south again on the Stewart/Cassiar Highway, returning to Prince George via Highway 16.